Your ideal getaway home awaits around the corner! 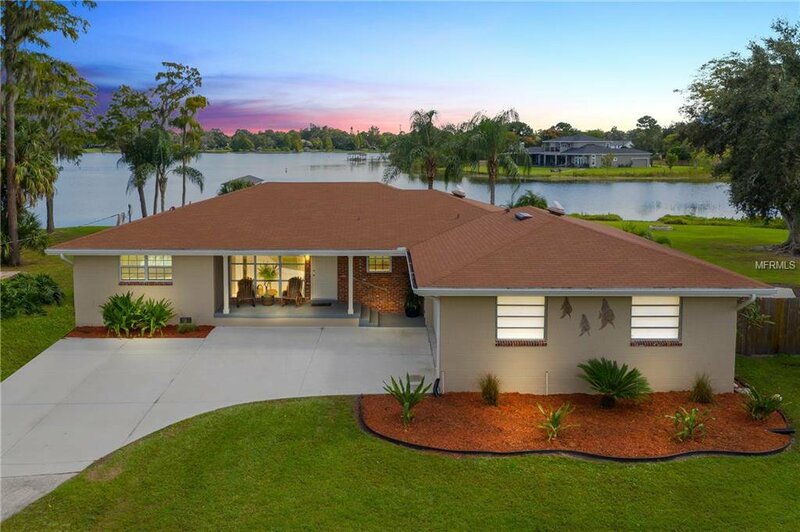 Located on the beautiful Lake Jessamine, this 3 bedroom 2 bathroom house is full of luxury.This house sits on a huge corner lot and is lake front. From your new home, you have a full panoramic view of the lake, plus the lake can be seen from every room in the house! The floor plan is very open and spacious, which is fantastic for entertaining. What helps out better with entertaining than a gourmet kitchen! Inside the kitchen you'll find abundant storage space with all appliances upgraded! All bedrooms have wood flooring and both bathrooms have upgraded fixtures. From the living area, there is a door connecting you to your screened in back porch-oasis. This back porch also doubles as additional office space, or more space for entertaining! Your friend will love to come sit out by the fire pit with you, or maybe even spend a day out on the lake. Your dream home is finally within reach. Listing courtesy of KELLER WILLIAMS AT THE PARKS. Selling Office: RE/MAX 200 REALTY.